The nervous system has two major divisions according to location. The central nervous system includes the brain and the spinal cord, while all of the other nerves of the body make up the peripheral nervous system. The nervous system has two major divisions according to function. The autonomic nervous system in under unconscious control and is in charge of the functions of the glands and internal organs. It is a good thing that our brains take care of a lot of functions in the absence of conscious control. Could you image how exhausting it would be if you had to remember to breath, to blink and to tell your heart to beat at least once every second? Not to mention all of the maintenance of blood pressure and digestion you would have to stay on top off mentally or you would quickly be in dire need of medical attention. Our autonomic nervous system takes care of all of the breathing, heart rate, blinking, maintaining blood pressure, digestion and more with us being aware so we can concentrate on other things.... like anatomy class! The remainder of our discussion will focus on the somatic nervous system which is under conscious awareness or control. As mentioned earlier. the somatic nervous system has 2 divisions; 1) sensory and 2) motor. Let's briefly look at these divisions and look at how information flows. The primary function of nervous tissue is communication. The sensory division of the somatic nervous system functions to sense the external environment (temperature, pressure, pain, etc.) and the internal environment (hunger, sense of balance and position in space, alertness, etc.) and to communicate that sensory information to the brain. Sensory information about the external and internal environments is obtained by specialized sensory receptor cells (receptors) that will respond to specific sensory stimuli by firing an action potential. For example, photoreceptors in the retina contain a photosensitive molecule (pigment) that responds to light by physically changing its shape (or undergoing a conformational change) which leads to an action potential. Tactile or touch receptors (a type of mechanoreceptor) respond to being deformed or stretched by generating an action potential. An action potential reaches the axon terminal. Synaptic vesicles that are filled with neurotransmitters fuse to the presynaptic membrane which allows the neurotransmitters to move out into the synaptic cleft. These neurotransmitters then passively diffuse across the synaptic cleft and then bind to receptors that are located on the postsynaptic membrane (located on the dendrite of the postsynaptic neuron). When the neurotransmitter binds to the receptor, ion channels open leading to an influx of positive charge. If there is a sufficient amount of stimulation (positive charge) sensed at the axon hillock, an action potential (in the form of positive charge) is generated. The action potential travels down the axon toward the axon terminal. 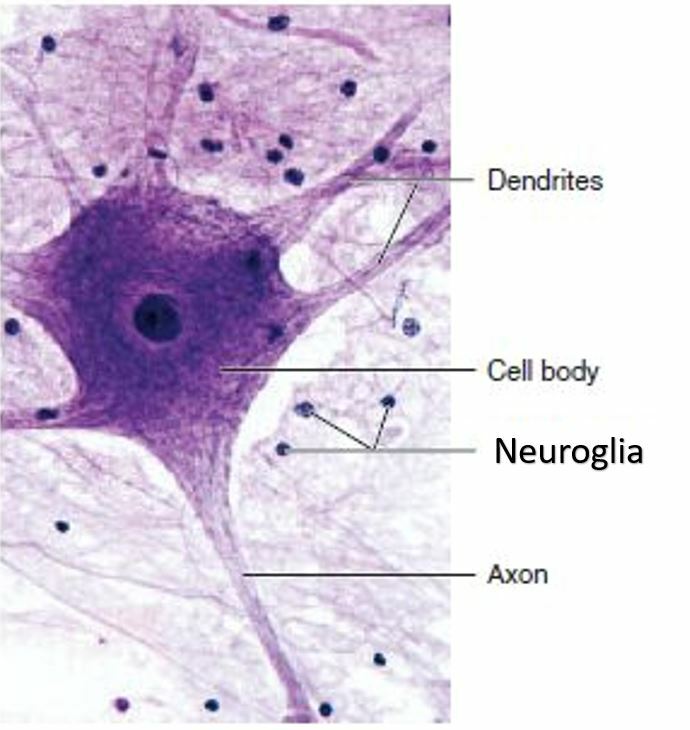 The neuron has 3 main parts; the cell body, the dendrites and the axon. The cell body houses the nucleus, organelles and cytoplasm of the neuron. Cell metabolism, carries out day-to-day functions of the cell. 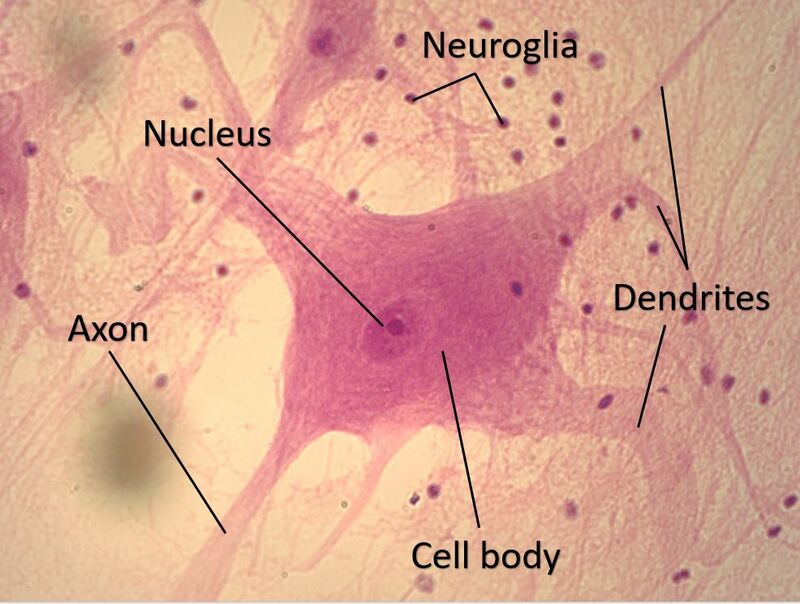 The neuron has 3 main parts; the cell body, the dendrites and the axon. Transmits (sends) signals from the cell body to the axon terminal in the form an action potential. Processes that protrude from the cell body like branches. (Dendrite means 'branch'). Receives neurotransmitters (chemical messenger molecules). 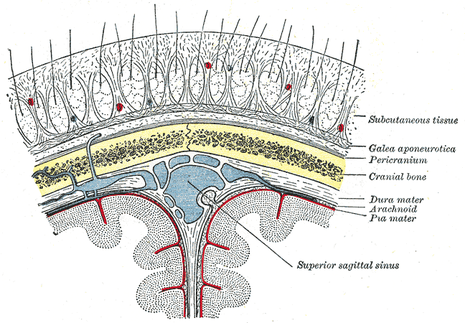 Schwann cells are the main type of glial cell in the peripheral nervous system. Schwann cells wrap around axons to form the myelin sheath. 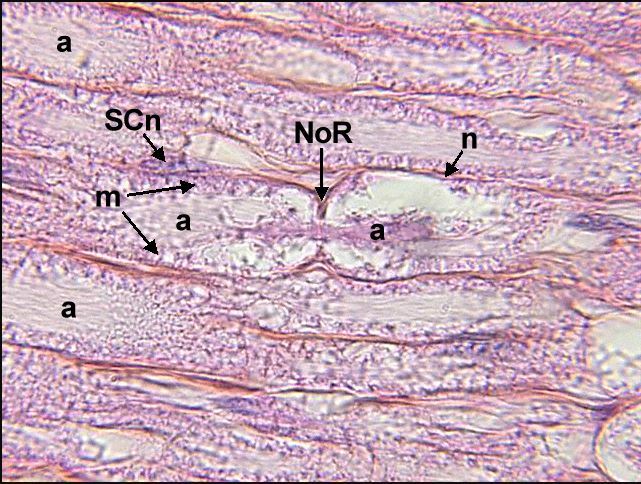 Neurolemma refers to the outer portion of the myelin sheath that contains the cell bodies of the Schwann cells. The neurolemma is the outer portion of the myelin sheathe. The myelin sheath provides support for the axon. The myelin sheath is made up of the plasma membrane of the Schwann cell (in the peripheral nervous system (PNS)). The myelin sheath provides support for the axon. Gaps in the myelin sheath that allows the axon membrane contact to the ions of the extracellular fluid. Propagation of the action potential by allowing an influx of sodium ions (positively charged) into the axon to continue the to transmit the signal down to the axon terminal. The synapse is the space between the neurons (between the presynaptic neuron and the postsynaptic neuron. 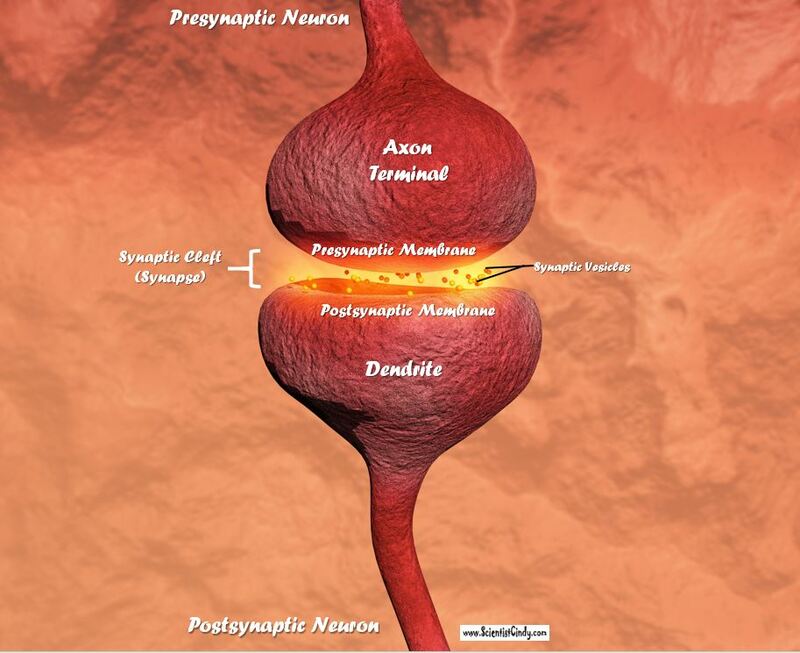 During neurotransmission, the presynaptic neuron releases neurotransmitters (chemicals) into the synaptic cleft, These chemicals passively diffuse to the dendrites of the postsynaptic neuron. This triggers a change in the membrane permeability of the postsynaptic cell. A thin axon arises from an axon hillock. Both are recognizable by their pale axoplasm, which is pale because basophilic ribosomes are absent from axoplasm. The nuclei of the Schwann cells take up a lot of the nuclear stain and appear round and dark purple. 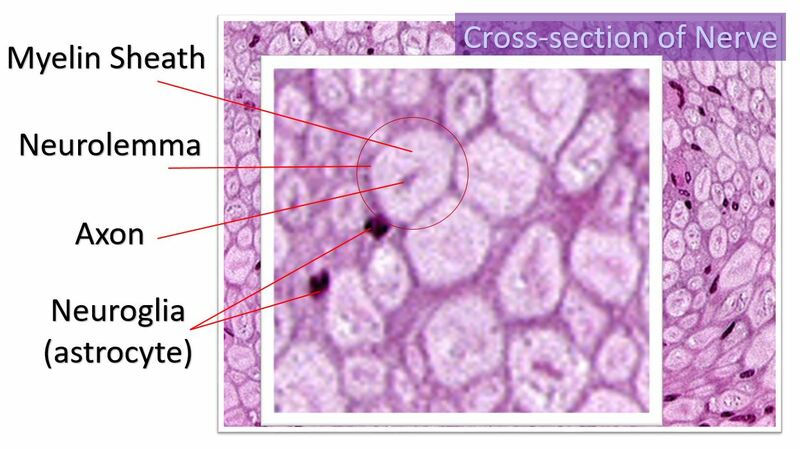 The myelin sheath has a lot of lipids, so it does not stain well. In a cross-section of the nerve, the myelin sheath will appear as a lighter ring around the darker axon. 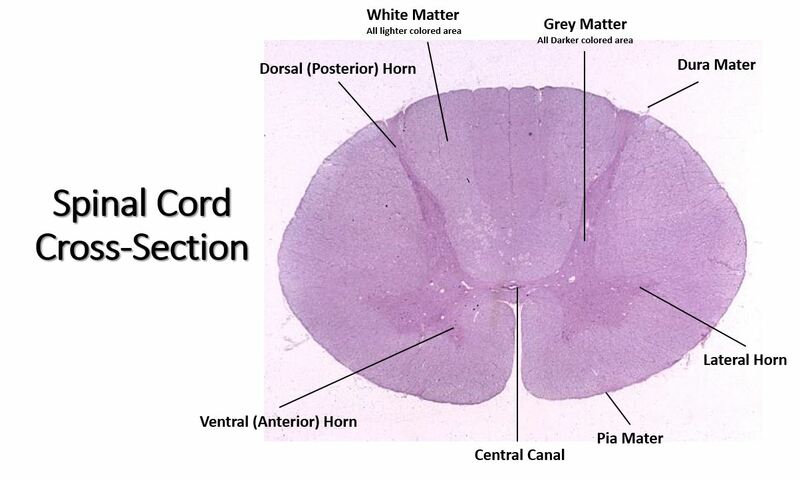 ​The myelin sheath is the lighter portion surrounding the axon. 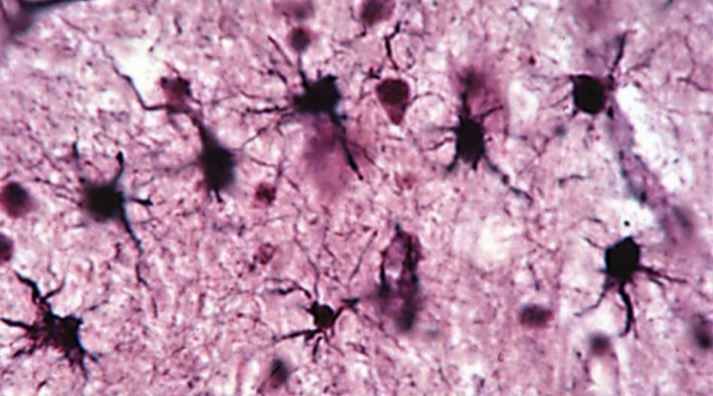 The outer portion of myelin stains more darkly and is the neurolemma which has the cell bodies of the Schwann cells. The gaps in the sheath are the Nodes of Ranvier. 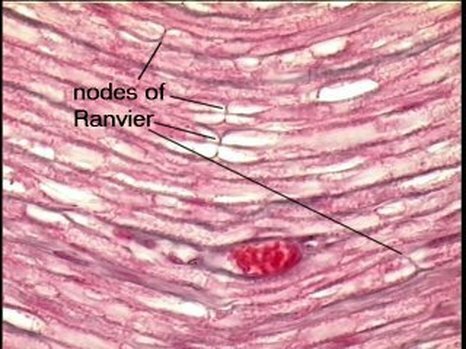 ​Node of Ranvier (NoR) = gap in the myelin sheath that exposes the axon membrane to the extracellular fluid. 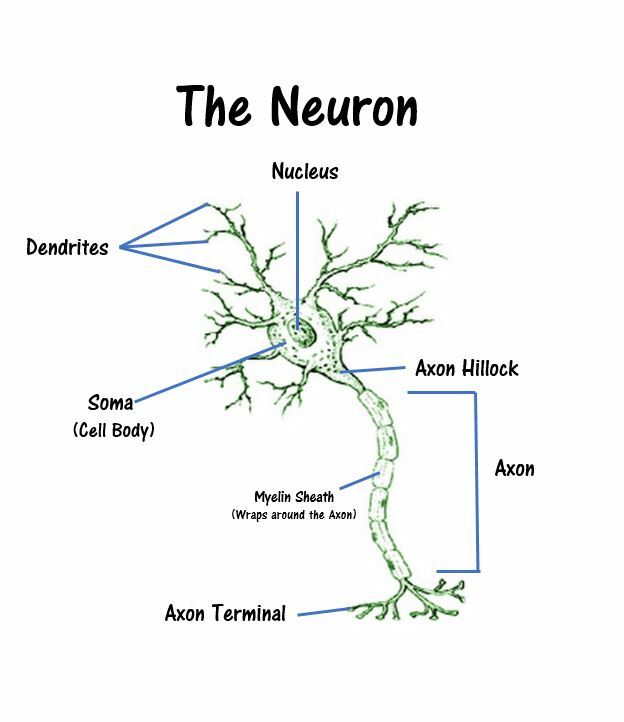 Axon (a) = the entire length of where it is labeled ‘a’ is the axon. Schwann Cell (SCn) = this is a cell body of a Schwann cell. 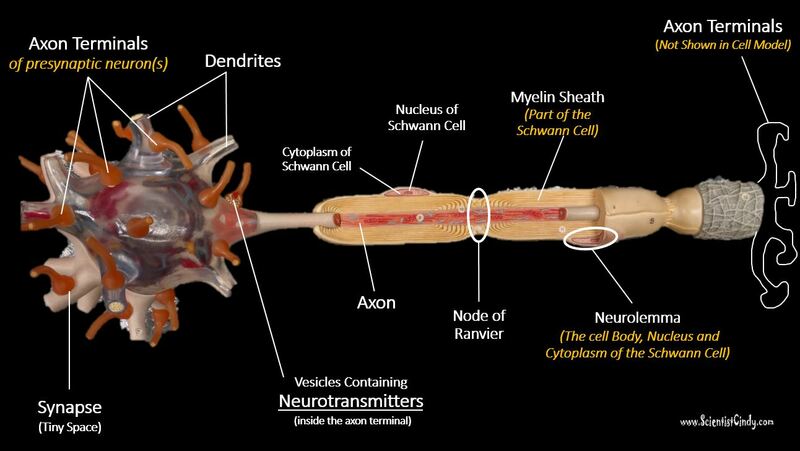 Schwann cells make up the myelin sheath that surrounds the axon. The outermost portion of the myelin sheath that contains the cell bodies of the Schwann cells, is called the neurolemma. You have 3 membranes covering your brain and spinal cord. The word 'meninges' comes from the Greek word for 'membrane. 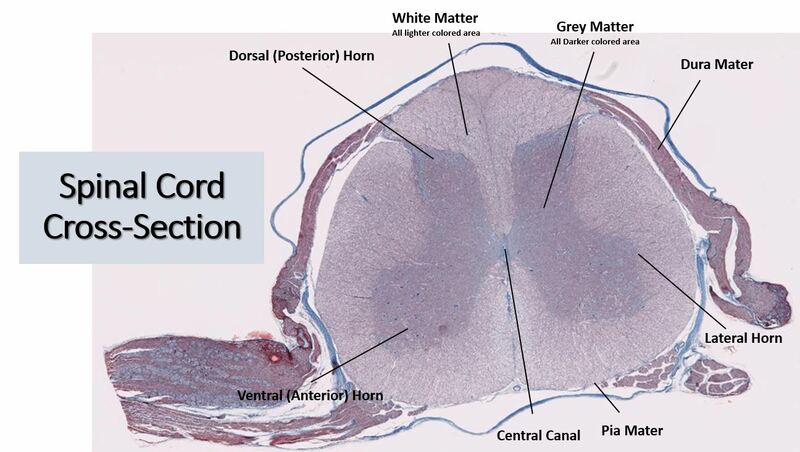 The innermost layer is the pia mater, the intermediate layer is the arachnoid mater and the most superficial layer is the dura mater. Cerebrospinal fluid lies in the subarachnoid space which lies between the arachnoid mater and the pia mater. The primary function of the meninges is to protect the central nervous system.